Call me crazy, but I tend to think that if you have to pay for something, it isn’t free. Yet many airlines charge frequent flyers for the privilege of redeeming miles by adding fuel surcharges to award travel. Today, TPG Contributor Jason Steele explains which airlines are the worst offenders, and offers some tips for how to avoid these extra costs. Today I want to continue looking at these carrier-imposed charges by differentiating between airlines that do and don’t add fuel surcharges, and discussing strategies you can use to avoid them. While United Airlines has devalued recently, it remains one of the major airlines that doesn’t add fuel surcharges to award tickets. At least for the moment, you can use your points and miles on these airlines without carrier-imposed charges (though you’re still on the hook for government fees and taxes). American Airlines adds fuel surcharges to award flights on its partners British Airways and Iberia. Alaska imposes fuel surcharges on award flights operated by British Airways. Air Canada adds fuel surcharges to award flights on all of its Star Alliance partners except Air China, Brussels, EgyptAir, Ethiopian, EVA Air, Scandinavian, Singapore, Swiss, Turkish, and United. Al Nippon (ANA) – When TPG examined taxes and fees on ANA last year, he found that there were little or no fuel surcharges on United transatlantic flights and those within the Americas. American adds fuel surcharges to partner award flights operated by British Airways and, to a lesser extent, Iberia. British Airways has some of the highest and most egregious fuel surcharges, but you can avoid them by booking award flights operated by Air Berlin, Aer Lingus, Alaska, and LAN. Also, American Airlines flights within the Americas do not incur fuel surcharges. Delta imposes fuel surcharges on many partner awards originating from Europe, and has also been known to add fuel surcharges to award flights on Aeroflot, Air Europa, Air Tahiti Nui, China Airlines, China Eastern, Czech, Kenya Airways, Malaysia, and Vietnam Airlines. Flying Blue reportedly does not add fuel surcharges to Aeromexico flights. Hawaiian adds fuel surcharges to Virgin Australia flights, although those are lower than what Virgin Australia imposes on its own awards. US Airways has adopted American’s policy of adding fuel surcharges to partner awards on British Airways and Iberia. Singapore does not impose fuel surcharges on the following partner awards: Avianca/TACA, TAM, and Virgin America. Also there are no fuel surcharges on US Airways and Virgin Australia domestic flights, or United Airlines flights within the Americas. Virgin America imposes fuel surcharges on its partners Virgin Atlantic, Virgin Australia, and Emirates. Thankfully, it’s one of the few carriers that discloses these charges before you redeem your miles. You can query their Redeem With Partners page to find out exactly what the charges will be. Virgin Atlantic does not add fuel surcharges to awards on Hawaiian, Delta, ANA domestic, Virgin America, Virgin Australia domestic, South African domestic and short haul, Cyprus Airways, and Jet airways. For more details, see this post I wrote on how to use Virgin Atlantic miles without fuel surcharges. With all other major carriers, you can assume that fuel surcharges will be imposed on all international award flights, and many domestic ones as well. 1. 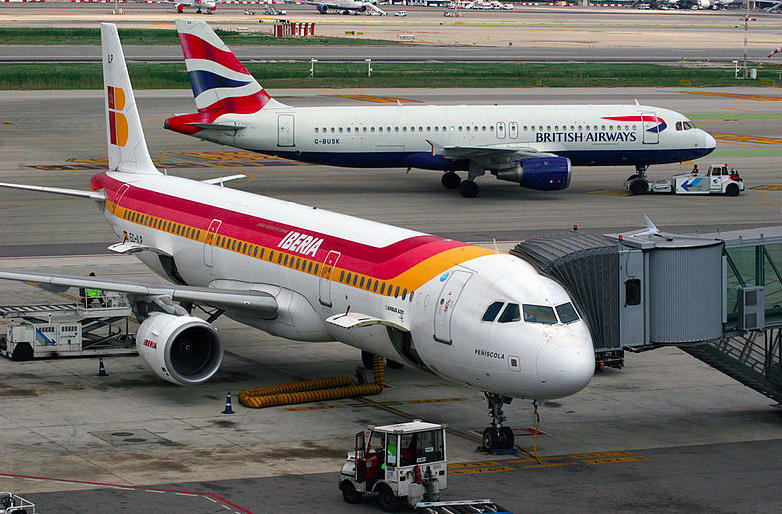 Move Avios from BA to Iberia. Iberia imposes fuel surcharges, but they’re far less than what you’ll find on British Airways, which adds the most of any carrier. In this post I explain how to transfer Avios points between British Airways and Iberia at no cost, and this post by Nick Ewen demonstrates how doing so could save you hundreds of dollars on award flights. 2. Earn rewards with flexible point transfer programs. There are now five major reward programs that allow transfers of points to miles: Chase Ultimate Rewards, American Express Membership Rewards, Citi ThankYou Rewards, Diners Club Rewards, and the Starwood Preferred Guest program. Each of these programs currently offers options to redeem points for paid tickets, which incur no fuel surcharges (and earn you miles). While these redemptions don’t always offer the best value per point, they’re good options if you’re trying to minimize the cash cost of your award travel. 3. Choose a destination without fuel surcharges. 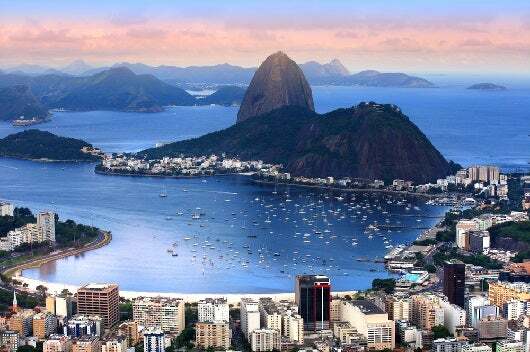 There are many destinations where awards don’t incur fuel surcharges within North and South America. That can translate to thousands of dollars saved if your family chooses to visit Rio or Buenos Aires rather than Rome or Paris. Ultimately, you should go where you really want to go (within reason), but if you’re trying to decide between two otherwise equal options, pick the one that won’t force you to cough up extra for surcharges. 4. Travel on a carrier with low or no fuel surcharges. Even when a program does impose fuel surcharges, the cost can vary dramatically depending on which carrier operates the flights. For example, award flights on LOT Polish, Cathay Pacific, and TAP Air Portugal will have fuel surcharges when booked through most frequent flier programs, but they can be as little as one third the amount added to flights on other carriers. In addition, international award flights on Air New Zealand, Aeromexico, LAN, TAM, and Saudia generally have no fuel surcharges, regardless of which carrier issues the award. 5. Reroute and refund. If you’re stuck with an award flight that has fuel surcharges, there’s still hope. You could try to change your flight to one that has no fuel surcharges and receive a refund. With awards on American, you can change the travel dates, routing, carrier, or even class of service for free, so long as the origin and destination remain the same. Some other carriers offer free changes to those with elite status. When airlines change their schedules, travelers can often take advantage of greater award availability to reschedule flights. Finally, in the event that weather or mechanical delays cause an involuntary rerouting, travelers can receive a refund for taxes and fuel surcharges paid on flights that they never flew. For example, I received a total refund of $268.20 in taxes and fuel surcharges from American Airlines, which I paid for my daughter and I to fly to Europe on Iberia. We were due this refund after we were rerouted on flights operated by American, to which the extra charges did not apply. You can receive a refund for taxes and fuel surcharges when you are rerouted. 6. Depart from Brazil. Brazilian law doesn’t allow airlines to add fuel surcharges to award tickets, so you can avoid these charges if you’re able to originate a ticket in Brazil. It’s not practical for Americans to fly through Brazil just to avoid surcharges, but I could envision using this tactic to book a longer trip that touches Brazil first before continuing on to other destinations. 7. Use a credit card that reimburses you for travel expenses or airline incidentals. Some credit cards, like the Barclaycard Arrival Plus World Elite Mastercard or Capital One Venture Rewards Credit Card, allow you to redeem points for just about any travel expense. If you’re stuck paying fuel surcharges, you can use the points earned from these cards to cover the cost without a cash outlay. Other cards, like the Citi Prestige, offer an annual credit for airfare or certain airline incidentals liked checked bag fees or lounge visits. Check out my post from Monday for more details on cards that offer these benefits. The amounts and terms of these travel credits vary, so check with your card issuer to see if fuel surcharges are eligible for reimbursement.